Our Infant and Toddler Enrichment programs offer children interactive, faith-based learning experiences that are as educational as they are fun. Our Infant and Toddler Classes are offered for children and parents/caregivers to enjoy together. Learn more below. 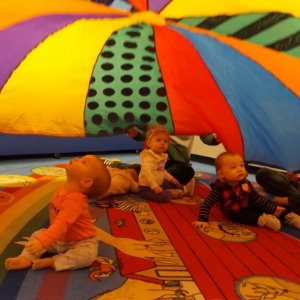 Our Infant Classes give parents/caregivers the opportunity to share special time with their child(ren) singing and playing games in a fun learning environment while also socializing with other parents. Learn more. Our Toddler Classes invite parents/caregivers to accompany their child(ren) to class where they sing, dance, paint, play, and most importantly share the special love of Jesus together. Learn more. Learners Club Preschool Enrichment Classes offer a stimulating and nurturing educational environment, taught by certified teachers. Each class will have an exciting new theme to keep kids interested and engaged. Click to register. When deciding where your young child will begin their educational journey, there are many factors to consider - staff, location, scheduling, facilities, curriculum. At HCLS, we check all of these boxes while also weaving in the intangible factors that play a critical role in shaping the person your child is becoming. Hales Corners Lutheran School promotes academic excellence while helping children nurture a personal relationship with God and preparing them to lead a responsible, purpose-filled life for Christ. Click here for 10 Reasons to Enroll in Early Childhood at HCLS and come explore our flexible, family-friendly preschool and childcare offerings.